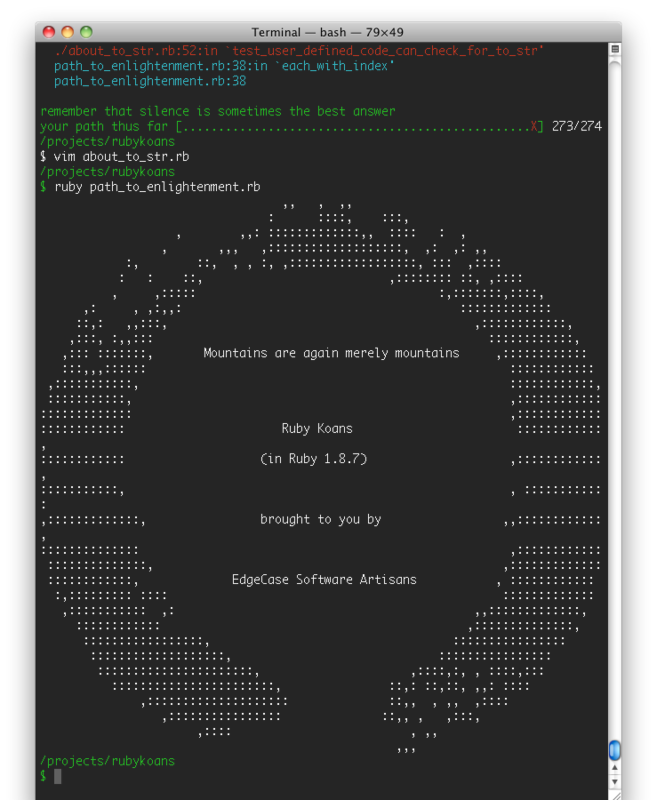 Some time ago I was learning Ruby using online tutorials or references. It was pretty smooth but I think that it was because of ruby language itself. 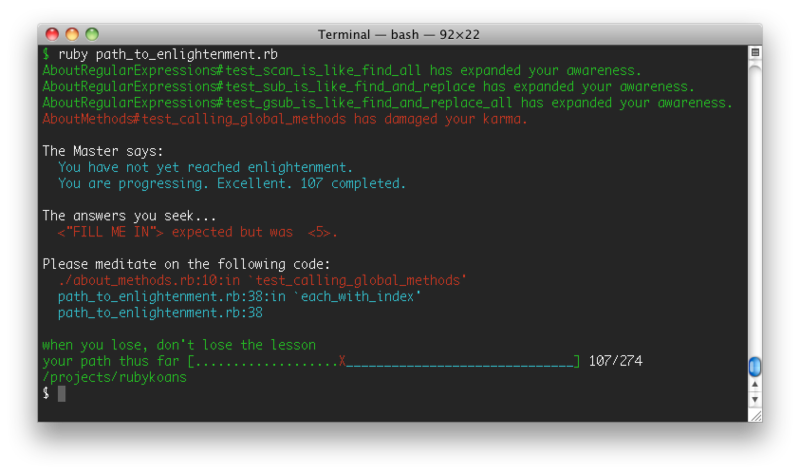 Two days ago I started learning it all over again and it’s fun as hell because of Ruby Koans. There is no introduction or something you have to read. Just run it and you will see failing tests. You need to fix them to be able to move to next sections and see your progress bar moving towards the enlightenment… Try it, and you will be willing to fix following tests as soon as possible, its really addictive. Uff.., I finally did it. It is really addictive and I’m happy it’s over and I can work on my other projects. Below is the final screen proving completion of the whole tutorial. I started to learn how to develop iPhone applications from web tutorials and two books I bought, but I encourage you to watch and listen the Stanford iPhone Development Course available on iTunes U.
It’s pretty well explained introduction to iPhone development. I haven’t watched all the lectures yet, but I definitely will and I will post my experience.